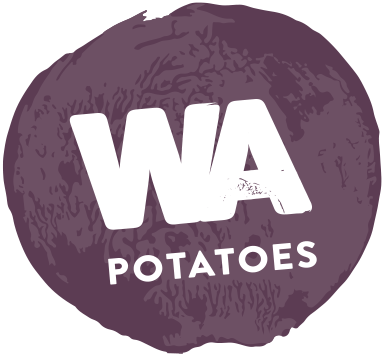 Blanch potato wedges for 1 minute in boiling water. Drain and dry on kitchen toweling. Lightly spray oven tray and potato wedges with olive oil. 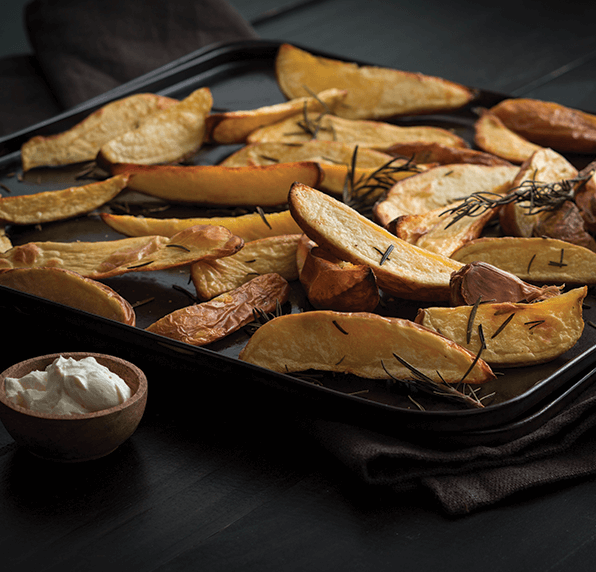 Place wedges in a single layer onto tray with rosemary sprigs and garlic cloves. Sprinkle with salt flakes. Roast in oven for 20-30 minutes or until golden and crispy.